Hi, and welcome to Young People at Heart, a fostering agency that has YOU, the young person at the heart of everything we do. 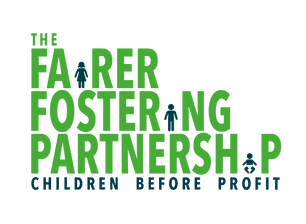 We’ve written this guide to explain what it’s like being fostered with our agency. If you don’t understand or have questions, you could ask someone to help you explain it, like a foster carer or one of the social workers or support workers. Some young people have helped us write this guide but if you have ideas to make it better, please let us know. What does being fostered mean? Fostering is when you go to live with a foster family because you can’t live at home with your family. Sometimes this is because your family aren’t able to look after you (they might be ill) or they might be having problems and need time to sort them out. Sometimes grown ups aren’t very good at explaining the reasons why you are going to live with a foster family, but remember, that it’s okay to ask why, and your foster family or social worker will try and explain it so you can understand. What will my foster family do to look after me? The Young People at Heart foster family is there to help and support you in this difficult time. They have all chosen to foster young people and we are happy they can provide you a good foster family. They will listen and talk to you about any problems you have. They want to make sure you are safe and healthy. They will help you with school work but they also want you to have time out to play games, sports or just have some fun. They will help you learn new skills like riding a bike or cooking. We also hope you can join in on different holidays or activities while staying with your foster family. There will be rules in the foster carer’s home that are there to keep you safe. What happens when I go to meet my foster family and live with them? Your social worker will have worked very hard to find a foster family they think will be right for you. It’s nice if you get the chance to meet them before you go to live with them so you can get to know each other. Your foster carer will show you around the house and introduce you to everyone who lives there. You will have your own bedroom and a place to keep all your belongings safe and secure. You will be able to ask any questions you want about your foster family and their home. If possible, your social worker will try and keep you in the same school so that you do not have too many changes. Your foster carer and your social worker will check to make sure you are happy at school. It’s important you let them know how you feel about school, so make sure you tell your foster carer if anything is worrying you. Only a few members of staff will know about you being in foster care, it is up to you if you tell other people. Can I still see my Family and Friends? You should let your social worker know who you would like to see and stay in contact with. Sometimes, it may not be possible and your social worker will explain the reason why, but if you can’t see the people you want to, it may be possible to write to them or speak to them on the phone. How long will I stay with my Foster family? Sometimes, young people only stay with foster carers for a short while, other times, it may be longer, or until you are old enough to look after yourself. Your social worker will talk about this with you. You can also let your foster carer or social worker know how you feel about this. Who are Young People at Heart? As a fostering agency we try to find the right foster families for young people who are not able to live at home. Our job when you are with a foster family is to make sure you are well looked after, safe and happy. It’s important you let us know if we could do things better. You can tell your social worker, foster carer or the Young People at Heart staff about any ideas you have or if anything is worrying you. It is their job is to check that the foster carers are helping you to live in a safe, and happy house, and they help the foster carers to do their job. There are support workers who may take you out and will arrange activities to let you meet other young people who are living with other foster families. We also have education workers who can help with any difficulties at school you may have. What is a foster carer and what do they do? Young people at Heart foster families come from various backgrounds. We will encourage you to maintain your cultural or religious needs. Your foster carers decided they would like to help young people who need to live away from their family. They have received special training. They may have their own children in the foster household or other young people in foster care living with them. We do a lot of work with your social worker to try and make sure you will be happy with your new carers, before and after you move in there. Why are there so many meetings? Sometimes it will feel like there a lot of meetings when you are with your foster family, but this is normal to make sure everything is going well for you and you are safe and happy. The three main meetings are: Placement meeting – This will happen just after you move in with your carers. The foster carers, the Young People at Heart social worker and your social worker, will talk about how you are doing. They will talk about things you like, what you don’t like, anything you need and anything the foster family will need to know to help look after you. Review meetings – These take place during your stay with the foster family. There are usually lots of people at this meeting. They will talk about how you are doing and how you are feeling. Everyone who is involved with you, will want to find out if things are going well or if there are things that worry or upset you, so that you can get help if you need it. Education meeting – These are called PEP meetings, or Personal Education Plan meetings. This meeting is held at your school to see how you are doing in school and whether anything needs to be done to help you. If there are any problems, we can all talk about them and see how we can fix them. You will get the chance to go to these meetings and talk about how everything is going if you want to. Just ask your social worker or foster carer. What if I think I am being treated badly? Can I complain? If you feel you are being treated badly, unfairly or something is wrong, it is important that you tell someone. Young People at Heart office details and phone numbers are included on this web page. If you are unhappy with something Young People at Heart has done, you should tell your social worker or complain to OFSTED. Their details are also on this web page. We want you to be healthy and happy with your foster family and in your school. If you are being bullied at home, at school or anywhere else, you must tell your foster carer, social worker or one of your teachers, or any other adult you feel you can trust. There are also contact details on this page that can help if you are being bullied. If you are worried or something is bothering you, we all want you to be able to tell us about it. Going to live with a foster family can be a worrying or upsetting time, so it’s important that you let your foster carer or your social worker know how you are feeling. Sometimes you might not want to talk to your foster carer or social worker about a problem so there are also people called Advocates who do not work with your social worker, foster carer or Young People at Heart and it is their job to listen to you and speak on your behalf, to try and solve any problems you have. Contact details of organisations that you could speak to are listed on this web page with links to their websites. If you would like to share your ideas or simply contact us then please click the link below and complete the form on the contact us page. Thames Enterprise Centre, Princess Margaret Road, East Tilbury, RM18 8RH. Rural Enterprise Centre, Vincent Carey Road, Hereford, HR2 6FE. Copyright 2015 Young People At Heart. A not-for-profit company, limited by guarantee.